Have you taken a good hard look in the mirror lately? Forget bad hair and wrinkles. 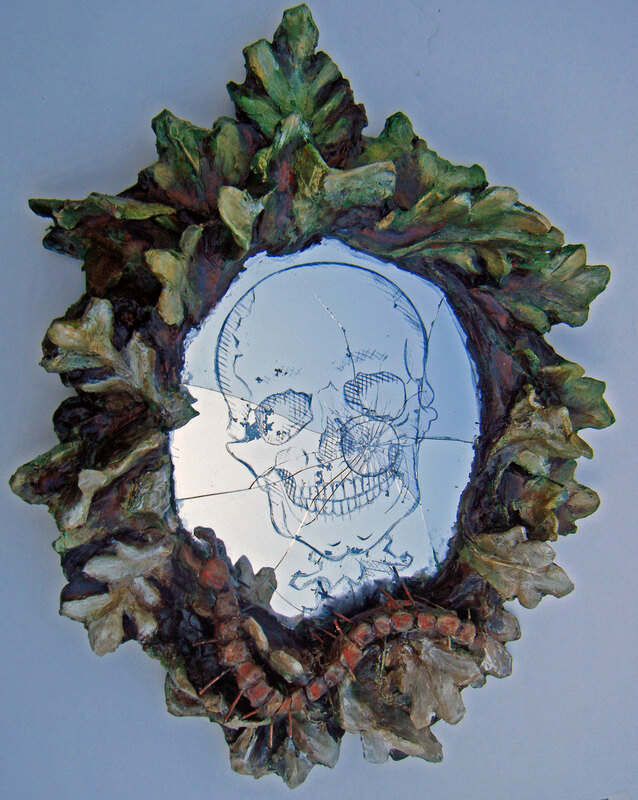 Gaze into this Catrina mirror and see a grinning skull superimposed on your face for an all-in-one before-and-after picture of things to come. 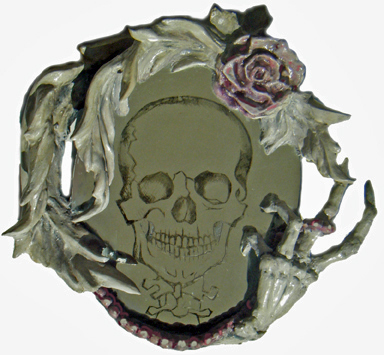 The skull is etched into the back of the mirror to create the effect. The rest is papier-mache (of course) and paperclay, including the skeletal hand with string of pink pearls. Vanitas is a theme that dates back to the middle ages in European art and is still “alive” today in Mexican Day of the Dead celebrations. Central to this theme is the human skull. Images also include flowers and feathers that symbolize the fleeting aspect of life. The mirror is a symbol of reflection on mortality and the “vanity” of youth and beauty, which fade. Not to be vain or anything, but my first Vanity was acquired from the LAVC art show by the Museum of the San Fernando Valley. You can see Vanity 2 along with my Vegan Deer Skull with White Rose as part of The 3oth Annual Dia De Los Muertos Show at the Folk Tree from September 28th to November 3. To see what else is in the show, visit the Folk Tree Facebook page. If you can, try to make it to the reception this Saturday, October 5th from 2-6PM. 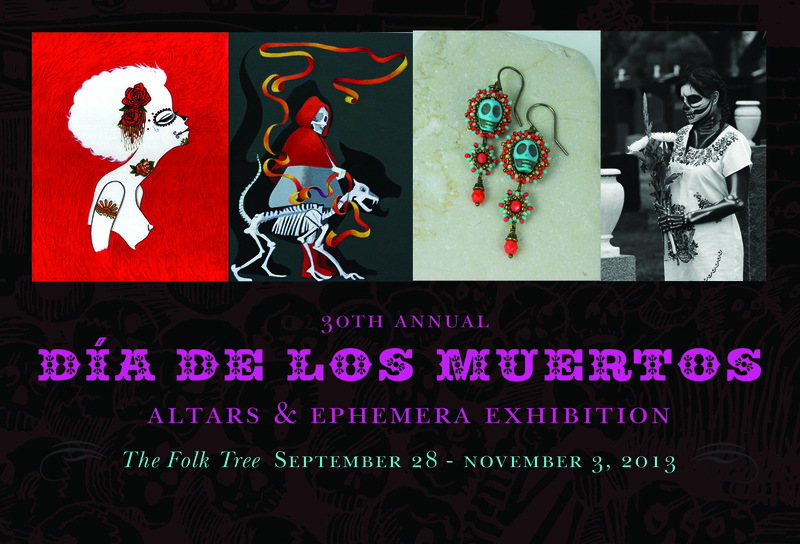 There will be music, food, floor-to-ceiling altars, and lots of Day of the Dead themed art. content as you probably did, the web will likely be much more helpful than ever before.